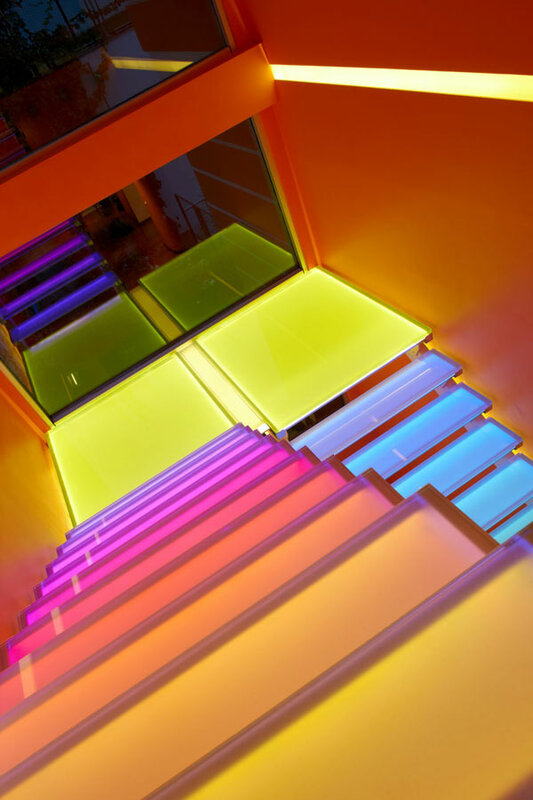 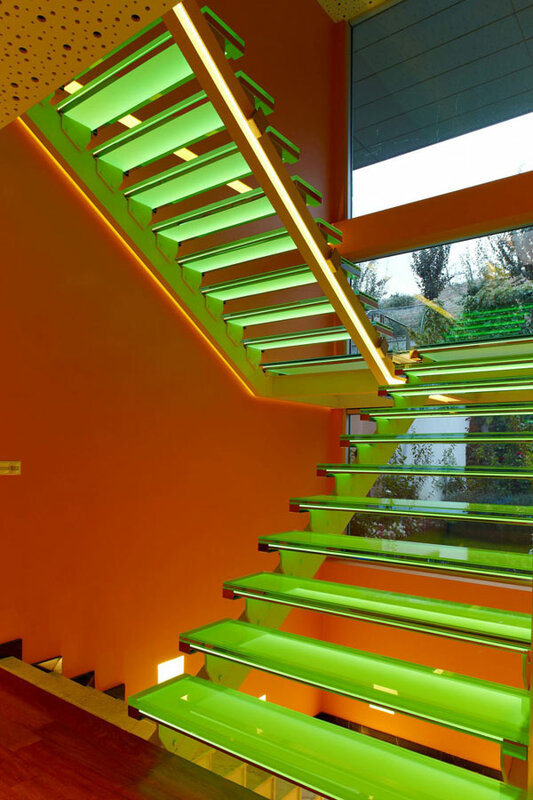 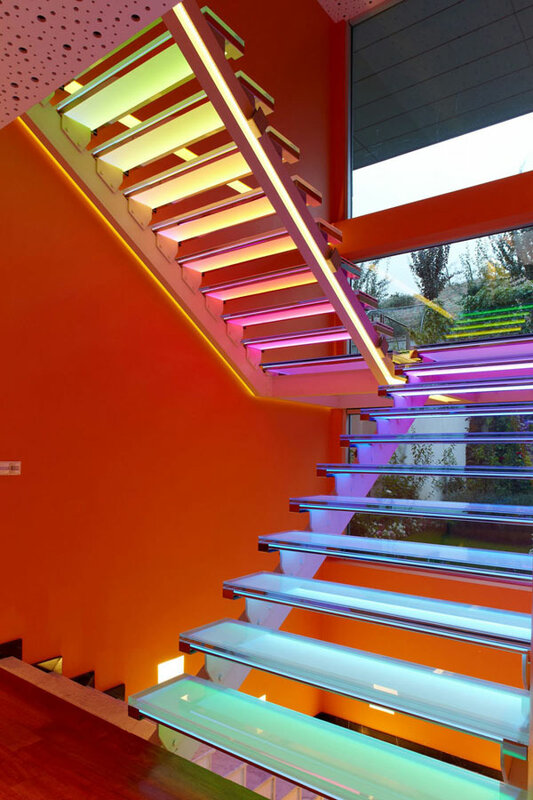 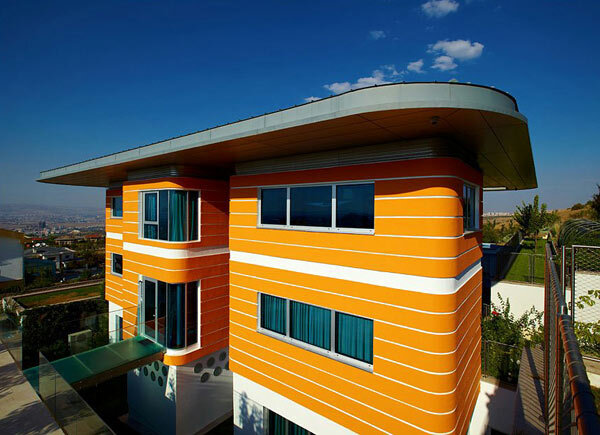 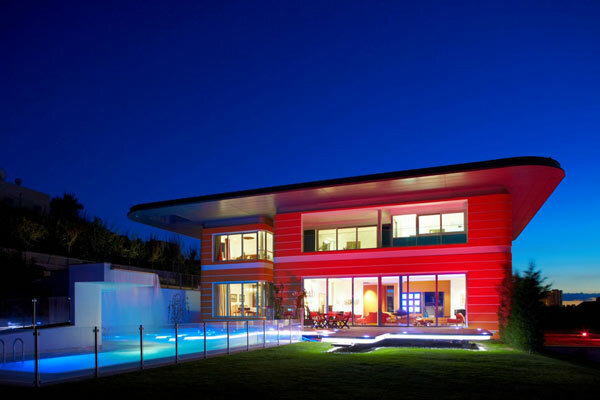 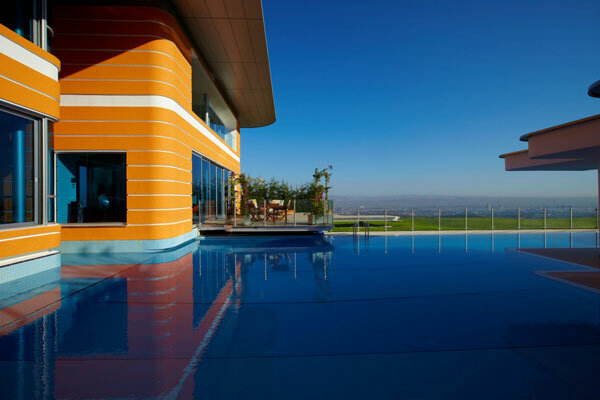 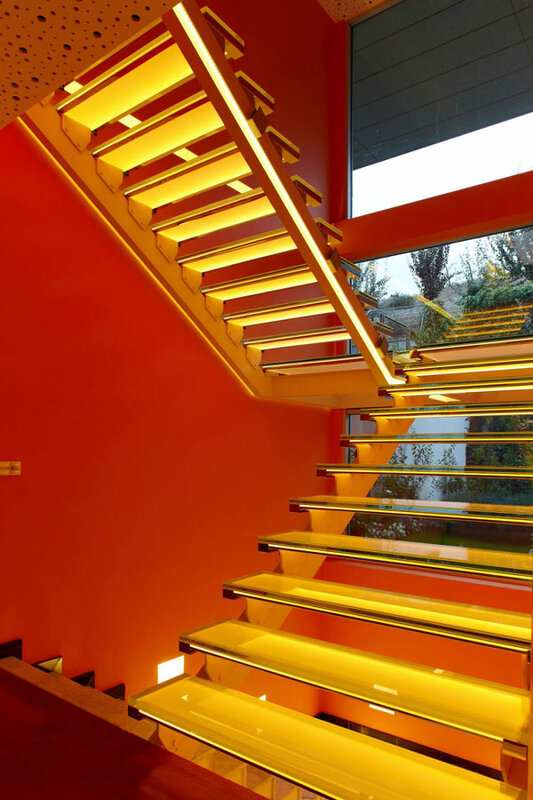 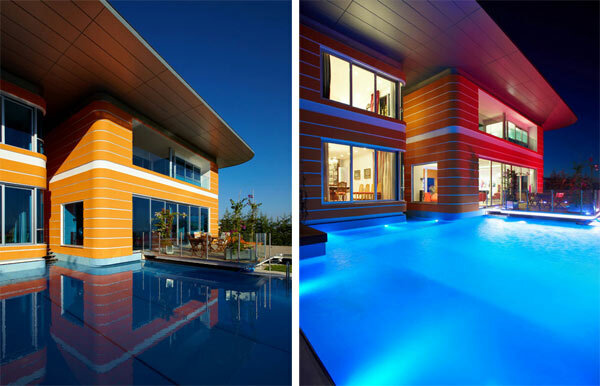 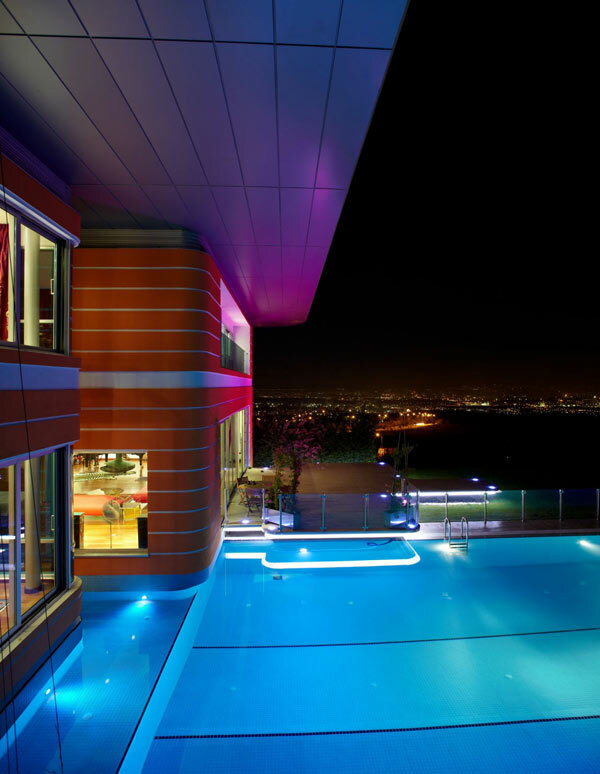 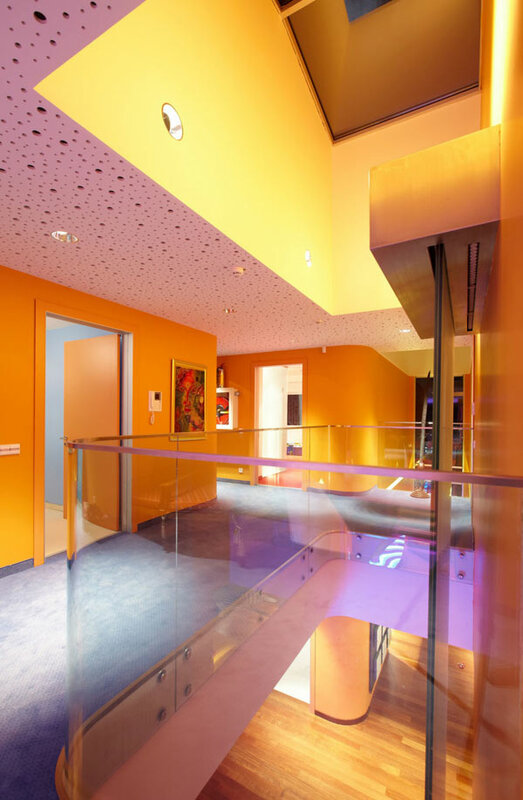 Vibrant colors for your house, you say; here’s this incredible residence in Ankara, Turkey — the Orange House. 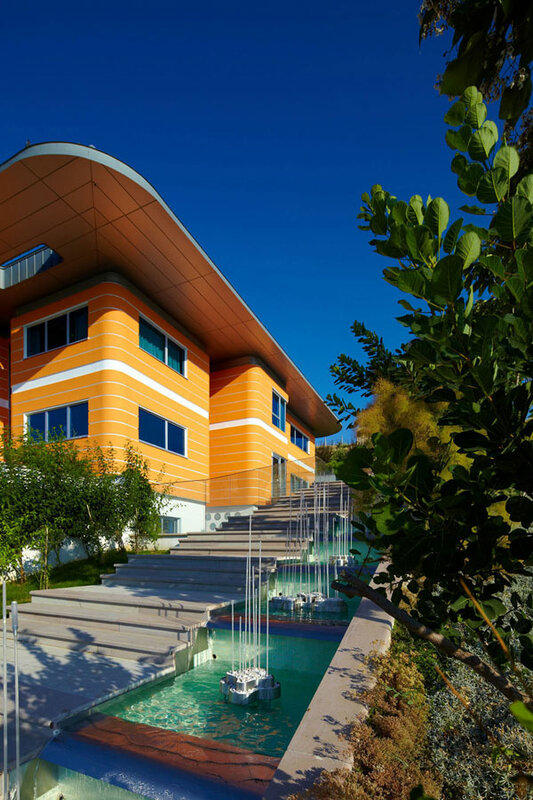 Going from red to orange and violet at night, and having almost all shades and tints for the interiors, this three-storey wonder is surrounded by urban buildings and the Middle East Technical University forest, hence offering a cool sight all around. 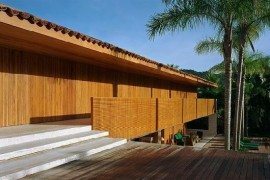 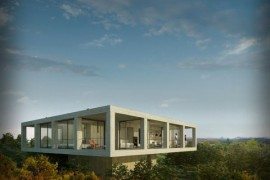 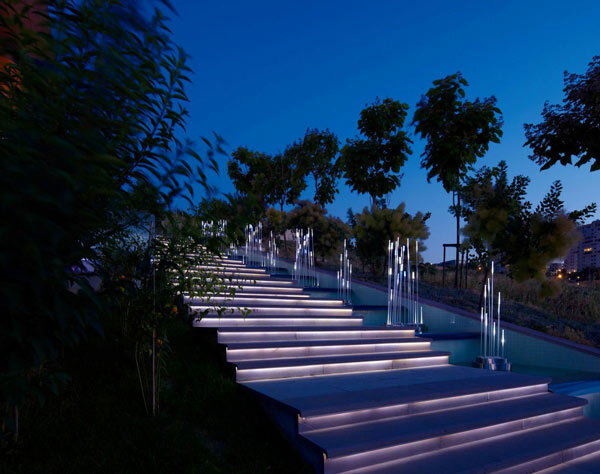 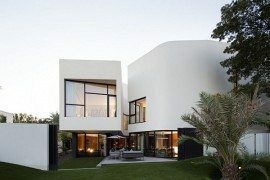 Add to all these that it’s been built on a steep surface with a floor plan of over 1,050 square meters, and you’ll agree with us saying that this is an amazing dream house. 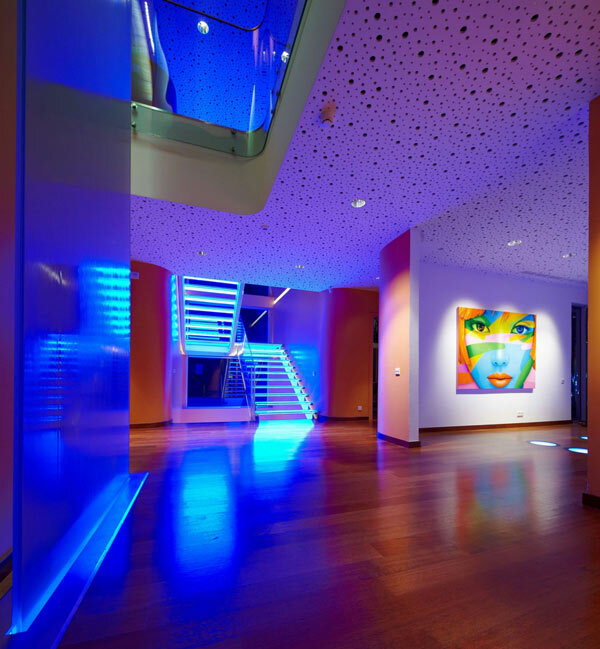 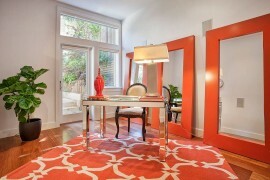 As we step inside, a chic looking, spell binding interior welcomes us. 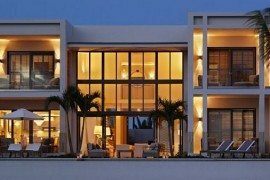 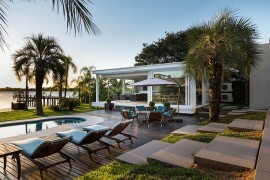 The use of the colors, the choice of accessories and furniture are so enticing, but wait until you see the well-kept polished lawn and the beautiful swimming pool that just add to the beauty of the outdoors. And speaking of the boldness of the design, we’re completely sold with both the interior and the exterior staircases. 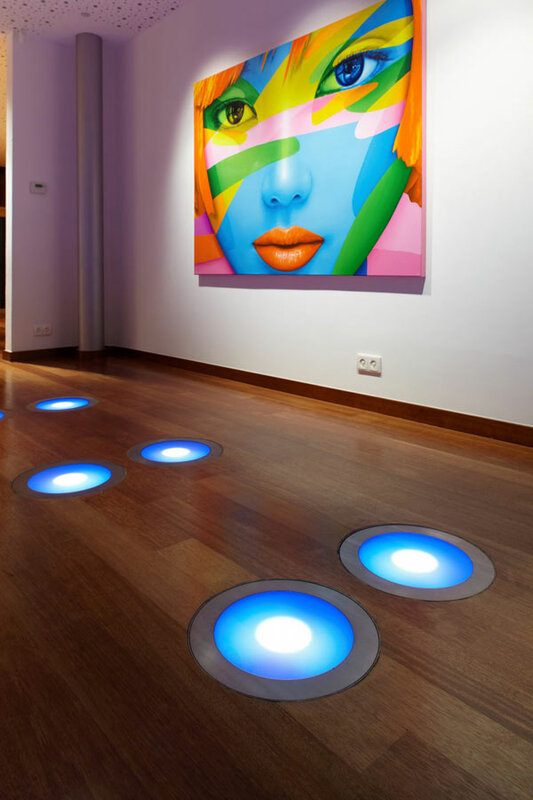 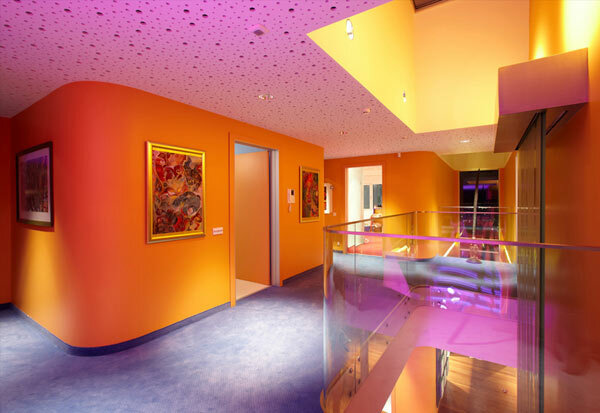 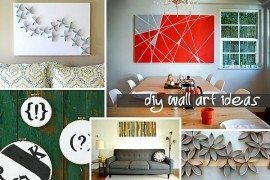 The design of the ceilings and the walls remind of the vibrant 70s or 80s. 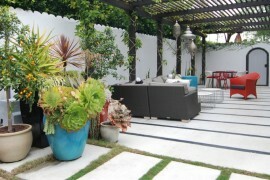 Decorations are not just the features that get emphasis here, the house also fulfills the demands of all the residents. 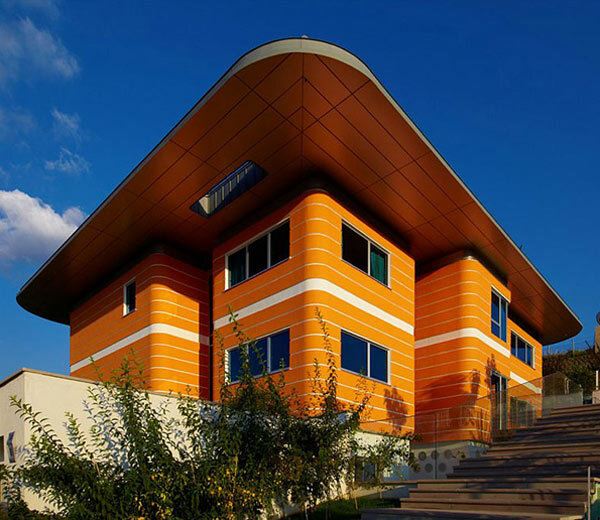 Designed by Turkish studio Yazgan Design Architecture the Orange House has employed all those elements that go well with the climate of Ankara.